Today I have a couple more products from BVspa to share with you. Previously I reviewed (and loved!) their salt and sugar scrubs. Today I have the other half of the BVspa line featuring body lotions and butters that come in the same three scents as the scrubs - Pink Grapefruit, Pomegranate & Acai Berry and Lavender & Rosemary. 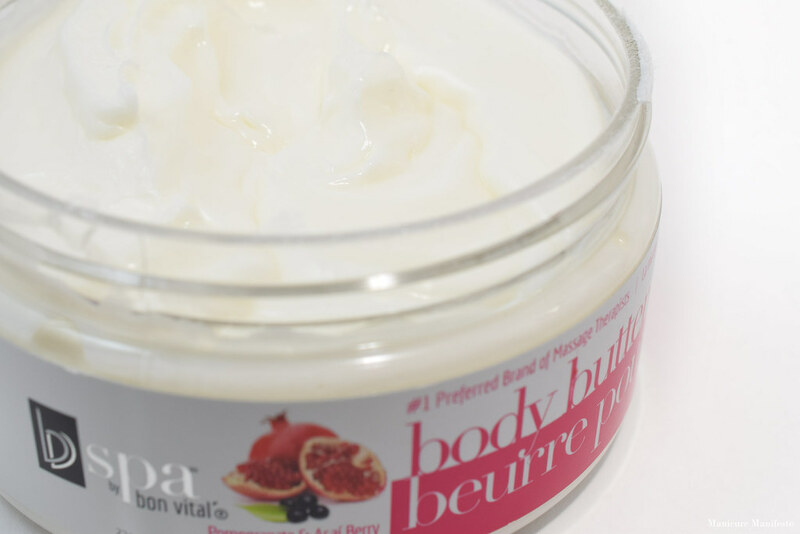 I tried the BVspa body butter in my favorite scent - Pomegranate & Acai Berry. It comes in a jar with a screw top lid and smells delicious, just like the salt scrub I tried in the same scent. 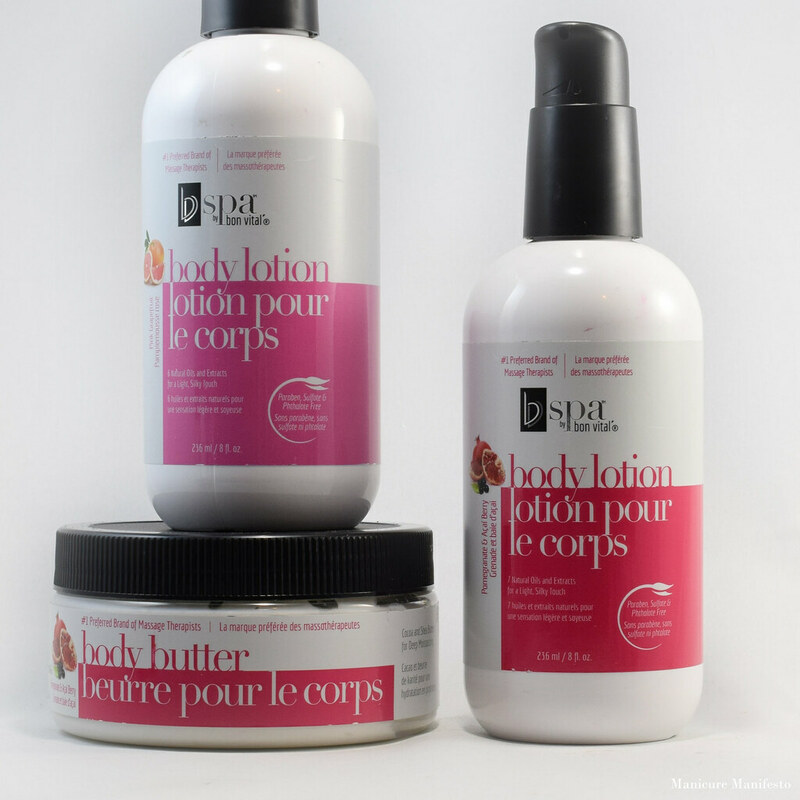 This body butter features cocoa seed butter, shea butter and sunflower oil to hydrate your skin. This formula is thicker, as you would expect from a body butter, and as a result takes a little longer to fully absorb but once absorbed I didn't experience any greasy residue. The scent does linger for a while. 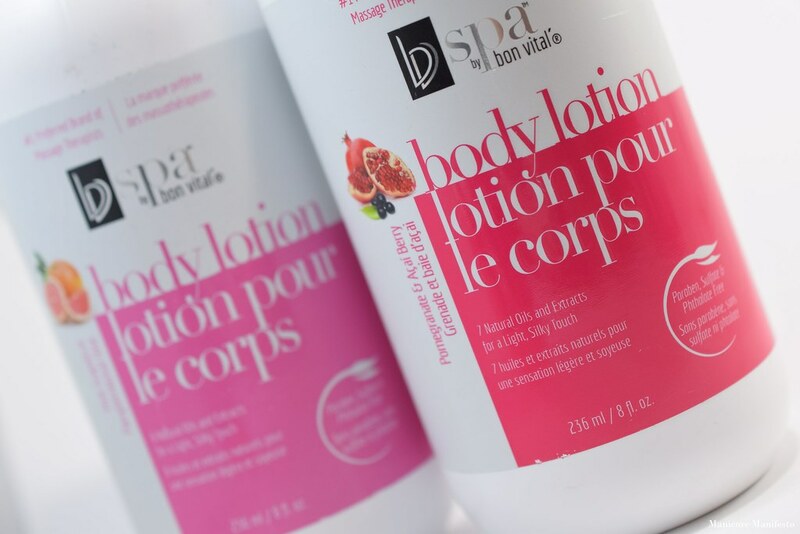 I tried the BVspa body lotion in two scents - Pomegranate & Acai Berry and Pink Grapefruit. The Pomegranate & Acai Berry is more sweet while the Pink Grapefruit leans more tart, like a real grapefruit. These lotions come in a bottle with a pump top that locks with a twist. Featuring squalane, jojoba oil and sunflower oil the formula was significantly thinner than the body butter but absorbed a lot faster.